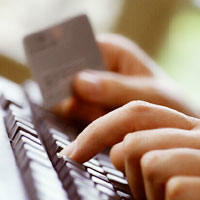 "My payment authorization is for the type of product and/or services indicated or ordered online. 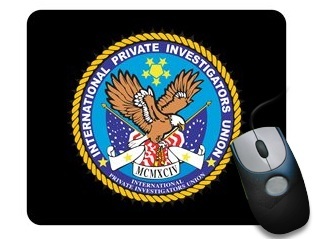 "If necessary at IPIU's sole discretion, I agree to receive the product and/or services and any other bonus benefits either by mail and/or through the online IPIU website, www.ipiu.org/forums/forum.php, using a special User Name, Password, and Access. I further agree to waive proof of delivery by regular means, such as postage mail, and that proof of delivery will be based on a copy of IPIU's email and/or internal record notifications to me of the product or services ordered, or of delivery provided at www.ipiu.org/forums/forum.php. (IPIU may elect to use a Postal Tracking Number if any items are mailed) ." The privateinvestigators.cc online store does not calculate international shipping, so you will not see the correct shipping charge on your online order total. The correct shipping charges will be processed in house upon receipt of your order. Please note that you may be required to pay local duties and/or taxes on receipt of products you order from us; your customs office can provide you with information about these fees. Also, on items shipped via UPS, courierservice, or private air cargo carrier, you may be required to pay a brokerage fee to the shipping company upon delivery. If duties, taxes, and/or brokerage fees are applicable and charged back to privateinvestigators.cc rather than being collected from you upon receipt of goods, we will charge the amount to your credit card. WE ARE NOT RESPONSIBLE FOR BOOKS OR VIDEOS SEIZED BY CUSTOMS OR ANY GOVERNMENT AGENCY. You are advised to consult an attorney. privateinvestigators.cc cannot offer legal advice regarding this matter. It is more convenient for you to purchase all your titles from one source. We will do our best to match any online non-clearance or non-sale price for our items! Our PI Union Members can receive a 10% discount off most regular priced books and videos. Professional & Lifetime Members can receive from 10% to 40% off selected regular priced items, depending on our actual costs. On the "Shipment Summary" page during the online checkout form, type in "PRICE GUARANTEE" and the name of the Web site where you found the lower price in the "Special Instructions" box. You must state the title and discounted price for each book or video ordered. We will verify all URLs and happily do our best to grant you the lower price. Although the regular price will show on your online order total, as long as the competitive price is verifiable, we will do our best to honor it upon processing your order. This offer applies only to online orders placed through the privateinvestigators.cc Online Store for USA customers. (Mail orders will take considerable more time to verify). Please note that we cannot match prices on products offered for sale on Internet auction or non-commercial sites. Although we use Delivery Confirmation to guarantee proper delivery by the US Post Office, there is always a risk your package may be stolen from your mail box or delivery address. If you wish to INSURE the loss of your order, please ADD a note to your order to authorize an additional INSURANCE PAYMENT of up to $10.00 to cover the cost of the actual order. Otherwise, a delivery confirmation will be the sole guarantee that the item was delivered by us. If for any reason you are not completely satisfied with your purchase, just request a preapproved Return Authorization to be sent to you and return the items in like-new condition within 5 business days for a refund or credit. If payment was made by check, then allow additional time for bank and processing clearance before requesting a courtesy refund from us. (Videos, DVDs, CD-ROMs, Collectible Books & Items, and other equipment, badges, or non-book items are nonreturnable; defective items will be replaced; wrong item received will be exchanged with reimbursement of return postage and insurance.) A copy of the invoice should accompany each return. Shipping, handling, and any extra insurance coverage purchased are nonrefundable. As always, your feedback is very important to us. Please continue to forward your comments and suggestions to us through the CONTACT US link on this site. Any disputes arising from products and services sold at this site shall be governed by and be construed according to the applicable laws of the State of Montana, without regard to the conflict of laws provisions thereto, and shall be exclusively resolved in the competent court in Kalispell, Montana. Each party hereby irrevocably waives, to the fullest lawful extent, all right to trial by jury in any proceeding relating to this agreement, the notes or the transactions they contemplate. This IPIU site is an Accredited Business Member of the Better Business Bureau.